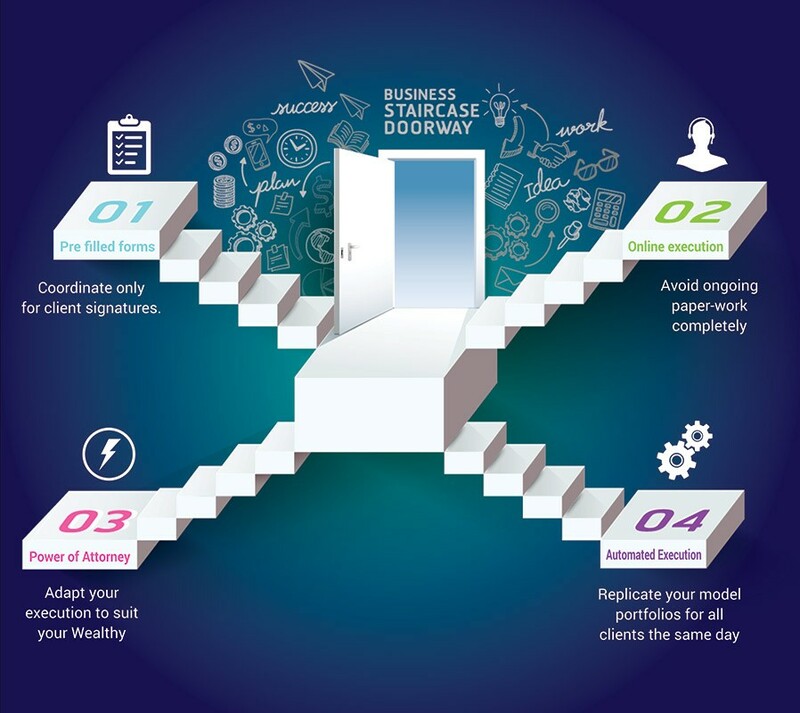 Virtual Private Wealth Management Platform ! Citadelle is born out of a passion to seek and spread the truth about investing and investments. We are a team of seasoned advisory professionals, who in our earlier avatars, have helped Ultra HNIs manage their wealth. Over their last two decades, the team at Citadelle had amply supported their clients in staying ahead of evolving markets, seizing the opportunities before others and managing the risks along the way. As a reward for our skill and intent, our team members were internationally recognized by the UHNI & HNI clients as being the Best Advisors in the Domestic Private Bank category in India, USD 1 Million & above, for five years in a row between 2009 to 2013 by Asia Money. The team members at Citadelle are now focussed in bringing worlds best Wealth Management principles, processes, practices and products to Independent Wealth Managers, Financial Advisors & Organisations dedicating their lives to their esteemed clients. Advisory relationships can grow only when clients trust advisors` skill and intent. We help you build it, by assisting you in every facet of Wealth Management. Be it in your in-depth market and product research, estate planning, financial planning and wealth review, superior product and security selection, efficient execution, transparent value add reporting or anything else that will earn your client’s trust and confidence. Our one point agenda is to enhance your standing with the clients in every respect. So be it, if our gamut of services and product lines arranged and available in your identity, can help you stay ahead of even the best of Wealth Management firms in the country. The team at Citadelle works relentlessly in developing efficient methods, so that you can save substantial time and cost in running and growing your practice, in a diminishing margin environment. Our intelligent and algorithmic processes can help each of your resource accomplish the work of ten. If you are wondering whether just a handful of your colleagues can help you scale and manage a lakh of clients with our platform, you are right about us. A day may soon come, when you can focus on the most productive activity viz client interactions, while leave everything else to us. Acquiring a client involves initial paperwork that takes away a lot of time. Much more than is necessary. Making it electronic can save your precious time. Imagine onboarding a client with just a few clicks of the documents that he already has. No printing, no collecting, no logistics nightmares and no praying that there are no errors. The refined processes on the platform can help you fetch KYC records of existing clients & create KYC records for the new clients, electronically and in a jiffy. Look before you leap. Financial planning brings several future events of the client into the present and creates a context for your advisory relationship. It involves collecting, organizing and assimilating many minute lot of details. It requires making assumptions and the flexibility to modify it to suit the several scenarios playing on clients mind. Client`s schedules are getting busier and so are yours. The challenges of coordinating all logistics and executing within time-limits can get daunting especially if one considers the impact of missed opportunities. To make your clients and your life simple, Citadelle sets in motion a integrated operational & technological arrangement that is networked with manufacturers, brokers, payment gateways, custodians and many more. All waiting to serve your client at the click of a button, either by you or your client themselves. In theory it’s easy, but in practice it’s difficult. Not anymore. You can now plan to execute your best ideas for all clients on the same day. What’s more, when your view on markets or fund managers change, you can trigger synchronized communication and order book creation for all clients and get it executed instantly and seamlessly. This can mean that a large client base is no longer a constraint for offering quality service to all. Saving of time and effort in execution. Market opportunities and its risks are perceived differently by different clients. Widest range of product empanelment. Relative recommendations amongst comparable options. Economies of scale negotiated for your benefit. A single picture can speak a thousand words. Why not with the way you share the progress of your investment strategy against the expectations set at the beginning and ongoing market opportunity of various kinds. What if you can make your static report spring to life by making it on-demand, dynamic & interactive? 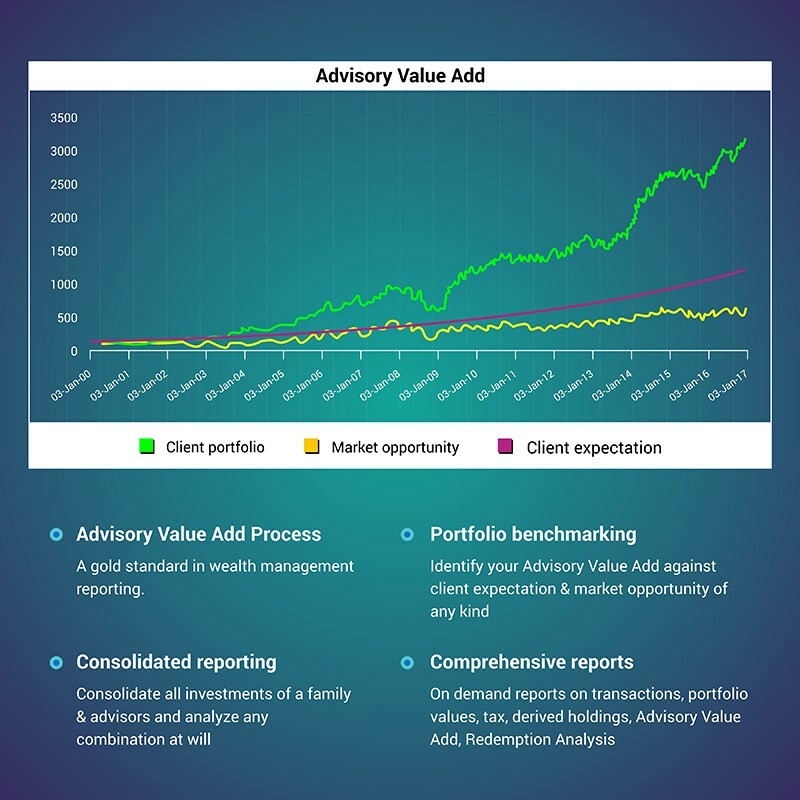 What if the Advisory Value Add that you work hard for, is easily understood by your clients even without an explanation? Will it not build confidence and comfort in his quiet mind even before you meet him next? We hear you say YES to all. Help your client monitor their portfolios which are updated online. The complexity of Fee management with respect to Financial Planning, Advisory or Family Office is well known. The platform has built in a Payment Gateway mechanism which identifies the basis for the agreed fees and makes it convenient for the client to pay based on reconciliation of accounts. Simplify the receipt of what`s due. Wouldn’t it be great if someone could liase with the brightest minds in the investment and advisory space on your behalf and crystalize the tactical asset allocation in response to market views and product/security selection to implement the same? On an ongoing basis, the advisory team at Citadelle conducts in-depth research on all asset classes and puts together the right mixes for various risk appetite levels. These are well thought through strategies and are often back tested, before they are put forth as suggested model portfolios. Since 2015, such model portfolios of funds and stocks have helped many advisors beat their benchmarks handsomely and thereby clients` expectations of them. 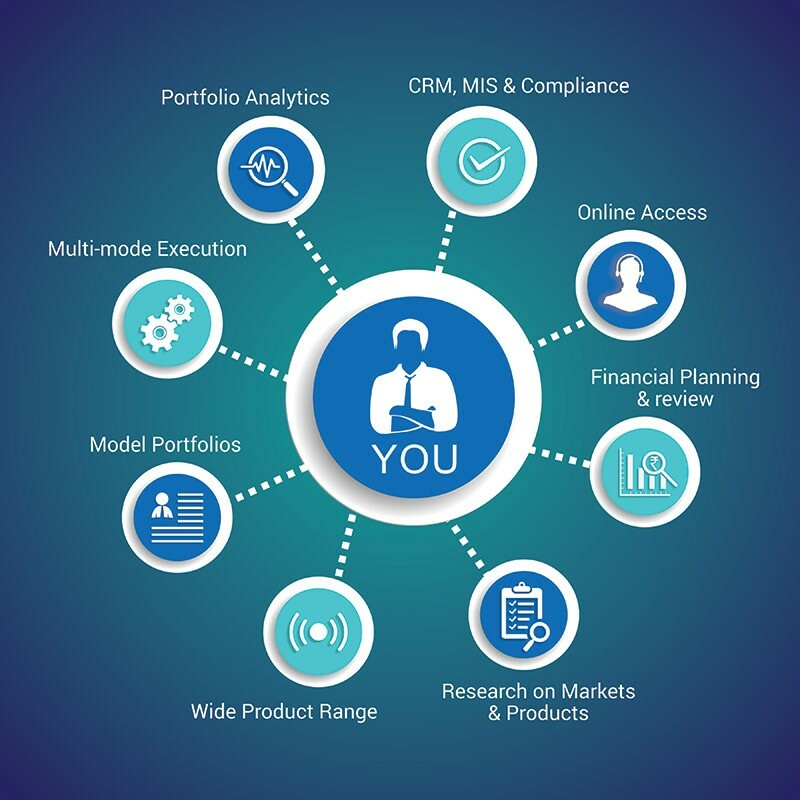 We welcome you to conduct your due-diligence on our rigorous decision making process and if satisfied, simplify your portfolio construction by replicating or improvising these strategies to your clients too. Imagine needing to calculate a million combinations to come up with one optimal probability of making or losing money. Isn’t this what advising is all about… build probabilities for success in the future based on an exhaustive study of the past. The Intellivest ‘Robo-Advisory’ process just does that. Intellivest hunts amongst million plus combinations, for one portfolio with the greatest chance of success. It looks into data across Equity, Cash, Gold and Debt since 1979, analyses thousands of funds and their track-record, marry it with your latest views on markets. All of this in less than 10 seconds. Given another minute… a repeat client can actually invest in a basket of the appropriate model portfolio of funds and get back to life. Comfort every client, that each one of them will get the best of your choices. Every Time and straight from you. What you do for your largest clients is often the key to the quantum leaps you can take in business. Their biggest challenge today is to know whom to trust with their overall personal finances. In other words, they need someone who can be the custodian of their overall interest and manage their affairs. It’s only natural that they will prefer the one who can bring the widest and deepest perspective on all the wealth management relationships that engage and serve them. Citadelle’s Family Office architecture is geared to help you be the chosen one. Kindly contact your platform relationship manager for further details. Markets revert to mean. But to know when…is like a hunt for a needle in a haystack or should we say, the Holy grail of investing. It’s probably a tough hunt but not an impossible one. Our experience tells us that if one were to focus on the gap between the ground reality and investors perception of it, it’s easier to know when the gap is at the widest based on history. At such extremes, it is easier to avoid risk or fear and build our portfolios accordingly. More often than not and sooner than later, your calculations will pay-off. 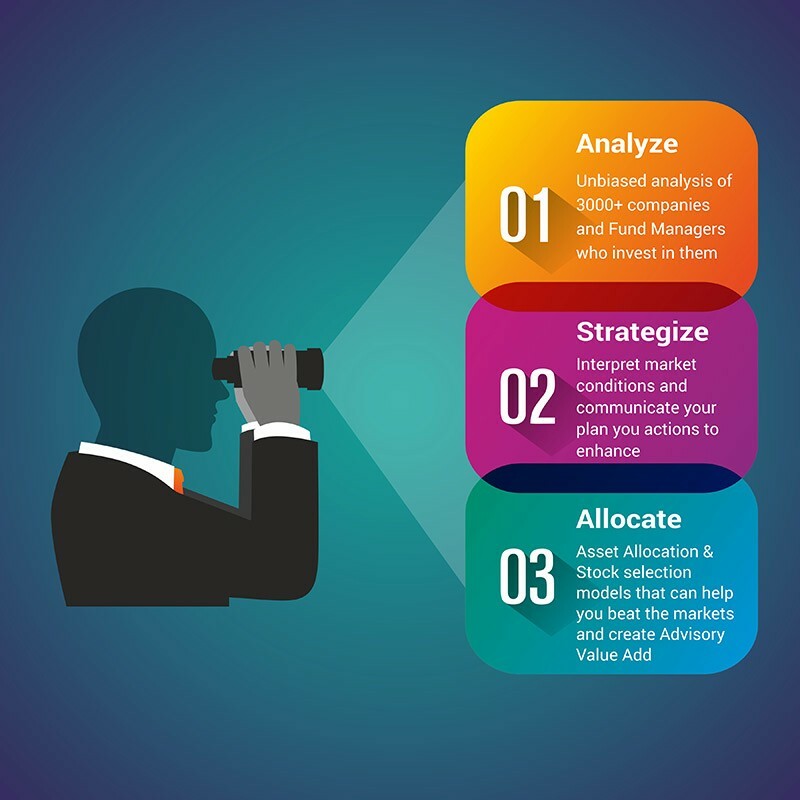 To help you keep an eye on the evolving market risks or opportunity, we have developed CTAAf - Citadelle Tactical Asset Allocation Framework. Its primary duty is to sound you out as to when the odds of making money for your client, is in your favour and when it is not. Advisors can recall how we cautioned in 2015, almost at the peak, using the principles of C-TAAf and helped them avoid adding to equities until it was much favourable later on. Clients like to sometimes experiment and build their own portfolios. Clients like to sometimes experiment and build their own portfolios. They see it as their learning curve and their desire to build their investment capabilities. All that they may need is to be guided around your good choices. Experienced advisors know the importance of recording all the facets of the relationship such that the most salient aspects of it are available on-demand. 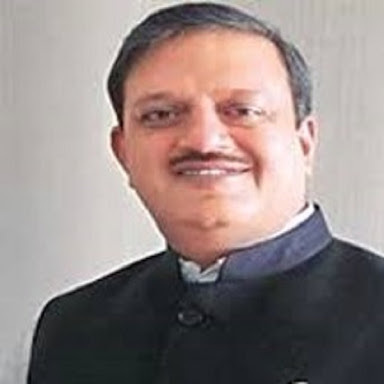 Be it the birthdays one must remember, the portfolios that have to be rebalanced, the risk profiles that need to be updated or the FMPs that are likely to mature. The trick is in organizing and communicating it for further actions. And yes, fulfil the regulatory obligations along the way. Most advisory is rooted in information arbitrage, between those who know and those who wish they knew. As a responsible Wealth Manager, you may want to cover all your bases and be several steps ahead of the knowledge levels of your competition. As an added requirement, you may want to make sure that your staff is well informed and trained. In an era where institutions themselves grapple with the challenges of imparting training to their staff, imagine having access to insightful perspectives in one place and training yourself at your convenience. The Learn Center where your staff can be encouraged to learn the nuances of Wealth management concepts and practices and test themselves. Surely we want those who represent us to be at their possible best. Well-heeled clients prefer the convenience of having their investments executed in a trusted manner. Well-heeled clients prefer the convenience of having their investments executed in a trusted manner. Often through a Power Of Attorney over specific demat & bank accounts that are mapped to their advisory and broking relationships. To those who are migrating their execution practices to electronic modes, this is another level of convenience that can be offered to HNIs. With as much as a mail confirmation from you and your client, you can set in motion a host of people who shall do the form filling, banking, settling transactions & fees and whole lot of activities that otherwise take your time. Beyond the pleasures of creating wealth, the end goal for most individuals is to transmit to their next generation or charities. Beyond the pleasures of creating wealth, the end goal for most individuals is to transmit to their next generation or charities. The transmission process is an emotional one as it represents the sum toto of the achievements of an entire life and its struggles. Unless the details are planned well beforehand, it may be too late for the intent of the benefactor to be carried out in letter and spirit, by the generations that stand to benefit. You can complete your journey with your beloved clients during their life time, by helping them perpetuate their wishes beyond their life. It can be achieved by a simple step of taking them into confidence and asking them a small question.. “What is your vision for your finances beyond your life time? And have you secured it? What follows next, could be a Trust or a Will. But…being able to advice a client on either is the highest honor of a Wealth Manager. "Their reports seek to find relative value based on rigorous analytical approach of many relevant factors and ratios. They seek to capture the relative strengths of every listed company on various counts. We believe that a careful analysis of these ratios can add value to investors as they can form the base for identifying potentially good long-term investments." "Citadelle is doing some really smart differentiated research on Companies, which are a significant value add. Their equity scorecard is very comprehensive and provides an excellent snapshot of any company. Their investment strategies and asset allocation models can surely help any investor/advisor stay ahead of the curve. Citadelle is definitely among the best in business." "To my mind, the highly advanced advisory & execution focussed Wealth Management platform built by Citadelle is a game-changer in this country. 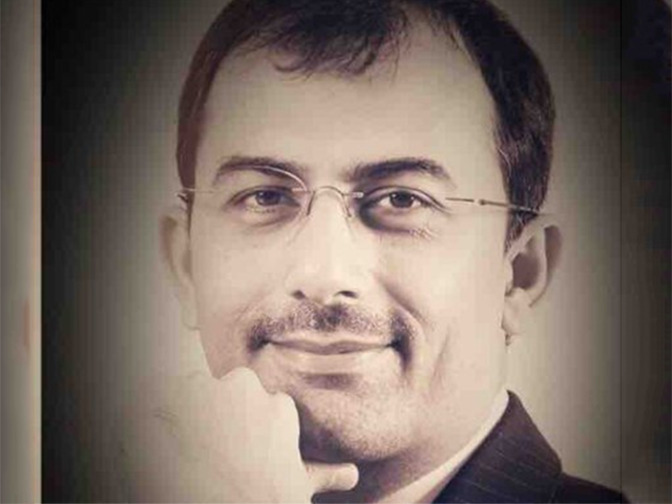 Every advisory firm that wishes to grow in a client centric manner should adopt it. Useful for all client segments "
"The format offers to investors, both sophisticated and those starting to invest in equities, a simple, yet holistic overview of a company. The format is easy to understand, covers ground across the spectrum of key variables and factors which are critical to analyze a company’s historical track record. Importantly, the format separates financial and manufacturing companies, thus providing critical inputs necessary for coverage of these two disparate groupings. It should become essential reading for the inquisitive investor who wants to go beyond tracking past fund performance to grasp the intricacies of fund management." "Citadelle’s approach to fund analysis is very comprehensive and detailed. It presents most of the data and analysis that an informed investor would need to assess any fund and more importantly, the companies that make up its portfolio. The deep dive into portfolio characteristics and underlying holdings also gives a more insightful perspective (real value add), rather than just analyzing funds based on past returns (commodity). 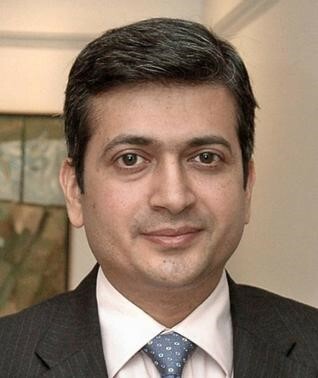 Srikanth and his team must be complimented for taking the quality of fund analysis to the next level. I particularly found the company scorecard to be a very novel approach to assess the potential of a fund." Tel No. : +91 22 61196600. Citadelle (with ARN code:97658), a SEBI registered investment Advisor (IN000002926), makes no warranties or representations, express or implied, on products offered through the platform. It accepts no liability for any damages or losses, however caused, in connection with the use of, or on the reliance of its product or related services. Terms and conditions of the website are applicable. © CITADELLE 2017 All right reserved.